The week aims to promote empowerment and to help to create real opportunities for people with autism. More than 1 in 100 people in the UK have autism, a lifelong disability which affects how a person communicates with and relates to others, as well as how they see the world. It is a spectrum condition and affects everyone differently, which means that everyone on the spectrum will have very different support needs. Autism is not rare. There are over 700,000 people with the condition in the UK, but detecting autism isn’t easy as the features can present differently in different people. Diagnosis usually involves a range of assessments; including clinical interviews, observation and the use of specialist diagnostic tools. Such assessments help to understand a person’s developmental history, as well as establish the presence of key diagnostic features and their impact of everyday functioning. As a result, members of the public and those in frontline roles need to be aware of possible signs. These can include problems with social interaction (e.g. avoiding eye contact), problems with language and communication (e.g. literal understanding), and also poor behavioural flexibility (e.g. obsessional interests). The Gazebo will be out and about across the borough to raise awareness of Autism and what support is available for autistic people and their extended networks. 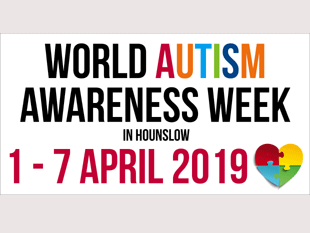 Colleagues from Adult Social Care, My Independence and groups including Autism Hounslow and Speak Out in Hounslow have also volunteered to help raise awareness across the week. Councillor Katherine Dunne, Cabinet Member for Communities and Workforce, Hounslow Council, said: “We know that lack of understanding affects autistic people in all aspects of their daily lives, from when they go out and about in their communities to when they’re at work, if they don’t get the understanding and support they need.